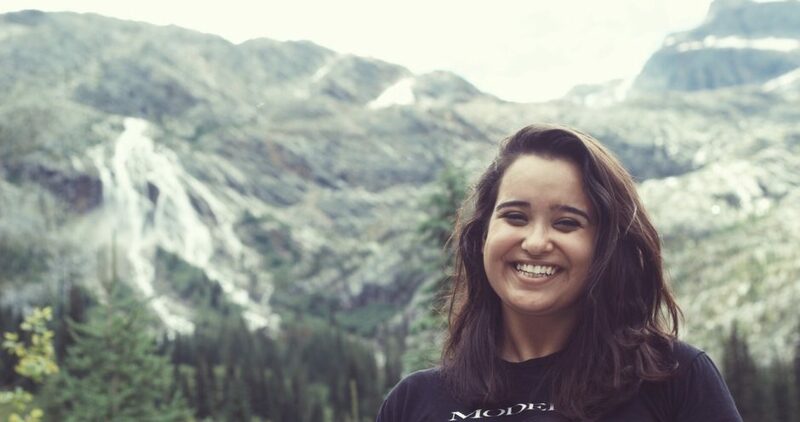 Find out what Maitrayee Dhaka (BASc ’15 MECH) did to make campus feel smaller as an international student and how an internship during her time at UBC turned in to her current career. Maitrayee currently works within the Autopilot Hardware team at Tesla. I design, integrate, and test systems within the Autopilot Hardware team at Tesla. My first internship at Tesla during my 3rd year at UBC – it was such a unique environment, and it forced me to really develop my personal technical judgement. Being surrounded by the level of talent and experience that I was, was an incredible education. The internship was a first-hand experience in what it takes to ship an ambitious product in extremely aggressive timelines. The second milestone in my career thus far was being part of the Tesla Model X development and manufacturing for the Falcon Doors, and ultimately the vehicle launch. It was a pretty amazing opportunity to be backstage during the launch – I grew up watching product launches and keynote speeches, and it was humbling to be part of one and know the work that goes into it. I use almost every bit of knowledge I have ever learned through courses, and otherwise on my own, or part of a student team/personal projects. It’s funny because I remember thinking “When am I ever going to use this?” during a few courses – but if you work to really develop your knowledge, and connect concepts – it is tremendously useful. You may not sit and manually write out a triple integral every morning for work, but the fundamental concepts across domains stay with you, and over time you get better at connecting and using them. It is pretty cool seeing people being excited about products that I work on. From growing up in India, to my years at UBC, internships, student teams… a lot of work, and support from my family and friends, and colleagues has gone behind it – so seeing that impact is always pretty great. In this universe, at times, I write (I wrote for The Ubyssey for over a year, on and off). I particularly enjoy interviewing people, so that would be an alternate career. I have also wanted to be a art gallery curator – I really enjoy typography, and have been fascinated by how art is presented, so perhaps that as well. And of course, (and ideally in this universe) I would like to be a space traveller – it remains my life goal to see the Earth from space. So many things to do! I enjoyed a lot of my 4th year Mechatronics courses – they were small, taught well by professors who really care about the material and the class, and connected a lot of concepts from over the years. MECH 423, 467 by Dr Ma, and Dr Altintas respectively were my favourite. ENDS 221 (Sustainability by Design), taught by Patrick Condon was an important class for me personally, and satisfied a side interest in architecture, sustainability and city design – it is one of the best courses at UBC. I generally struggle to define what a “successful engineer” is, but there are a few things that have helped me: learning to ask for help when you realize you need it, obsessively asking “Why?”, and communication. Actually, if you can communicate reasonably well, you can pretty much do the other two. I loved exploring campus – there are a ton of neat little spots, some known, some secret from most. I was an international student at UBC – my first day at UBC was my first day in Canada. I remember how large campus felt on Day 1, so I made it a point to explore all of it (and didn’t get caught). I wish I was better at answering questions like this one. Try and join a group/club, or take a class if possible, that has nothing to do with engineering or activities that you generally pursue. It feels nerve-wracking, and you have to make time in your schedule for it, but it adds incredible context (and often, fun) to your education as an engineer. Join a project, or student team, or a lab. Learn how to build stuff, try to build something, and share it with people. Build something ambitious – the more ambitious the better. Project groups, labs, and teams have a fair amount of resources available to them – tools, funding, space, and of course, the knowledge from others who have been trying to solve similar problems before them. The amount of technical learning, work ethic, and perspective that comes from that is incredible. Talk to your profs, and TAs – ask them what they work on outside of teaching, and why they do what they do. There is a lot of talent and expertise on campus, and you will most likely walk away having learned something new.